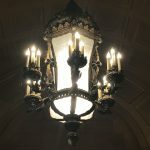 On the James J. Hill Center Historic Library tours, we always like to stop for a moment under the chandelier in the lobby to give a warm welcome. Why there? Granted, it’s right inside the main entrance—but also because of what you see when you look up. Historic architecture and décor from the Victorian era and Gilded Age in Western Europe are filled with symbols. Various animals, flora, and crests were common. There is one such symbol in our entryway that welcomes our visitors: a pineapple. Why does a pineapple symbolize welcome and hospitality? There are a few variations on the history, but all tie into the complex narrative of colonization. When European explorers traveled to the Americas, they “discovered” many things that were new to them, including types of fresh fruit. Some sources state that native peoples would place pineapples at the entrance of their homes or villages to indicate that the Europeans were welcome, and this tradition was taken back to Europe in the form of carving pineapples into entryways. Another legend tells of how sailors would bring pineapples back from their journeys and place them on a fencepost outside their house to indicate that they made it home safe. When their friends and family saw the pineapple, they knew they could go in and welcome their loved one home and hear of their travels. All sources acknowledge the influence of the wealthy. Christopher Columbus generally gets the credit for introducing pineapples to Europe, bringing them from the Caribbean to Spain in the 15th century. The delicious pineapple was, naturally, very desirable by Europeans and Euro-Americans—but expensive and difficult to obtain in Europe and the North American colonies. They couldn’t be cultivated in Europe’s climate, and would often spoil during the long journey across the ocean, making this mainstay of Caribbean and South American indigenous cultures a status symbol abroad. Some European and Euro-American families would even rent a pineapple to display at their parties. Eventually this transformed from being a sign of wealth and power to a sign of hospitality. The thought was, if your host had a pineapple at their party, that meant they spared no expense at the benefit of their guests. From there, they begun to get incorporated into architecture and décor, often stylized the same way as the Hill’s pineapple, which often gets mistaken for an acorn, artichoke, or even a hop! Let us (and our pineapple) welcome you to the Hill Center sometime soon. To learn more about our historic building and furnishings, join us on one of our public tours. 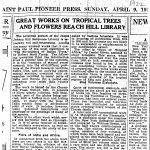 In the April 9, 1922 Sunday edition of the “Pioneer Press,” the Hill Library ran a piece titled “Great Works on Tropical Trees and Flowers Reach Hill Library.” Presumably penned by Hill staff, the short article explicates on new additions to the Hill collection, which included a seven-volume series called Flora of British India and the eight-volume Flora of Tropical Africa. Quite as interesting, elaborate and complete as the above are two series of books on two families of birds. That on the Turdidea or Thrush, by Seebohm, has been out several years. These two beautiful and luxurious volumes are illustrated by colored plates covering every branch of the Thrush family. … A later and still uncompleted work is ‘A Monograph of the Pheasants.’ … a rare work and one difficult of access. The Pioneer Press had already been running a Sunday books section, which featured new acquisitions at the public library and short reviews by library readers. In March 1922—just four months after we opened—the Hill Library joined this section on an irregular basis, announcing new additions to our shelves. Studying these old copies of the Pioneer Press at the Gale Family Library at the Minnesota Historical Society, our staff has been able to get a glimpse into not just the titles the library used to own, but also their significance. While we have ledgers of book purchases from our early decades, these articles bring the books to life in a way a mere listing of the title and price cannot. And as the above passage makes clear, there was quite the variety of rare knowledge stored within these walls! We no longer promote new books in the newspaper, but we do team up with the Pioneer Press to promote something just as special: entrepreneurs. Every other Sunday, we run the “Startup Showcase” column, which features a startup from our 1 Million Cups program. We couldn’t be prouder to carry on our history of sharing fresh ideas with the community in this latest iteration of our Sunday column. The Hill Center has a rich archival history of our early years, including original book receipts from 1918, annual reports beginning in 1917, and even reference correspondence from as early as 1921. The reference correspondence, which includes written requests for information and specific books, demonstrates both what people were researching here ninety years ago and what truly remarkable information finders librarians are! One of the most fun discoveries was the numerous requests for the identity of a poem—usually with the patron providing only little or incorrect information. In 1930, someone wrote in to the Hill asking, “Would you be kind enough to advise from what the following quotation was taken. ‘None knew him but to honor him; / None named him but to praise.’” Our diligent librarians discovered this to be the beginning of “On the Death of Joseph Rodman Drake, September 1820,” a poem by Fitz Green Halleck. How did they do it? While we can never say for sure since the processes for particular reference questions weren’t written down, we can assume it was how most research was done those days: mainly a matter of immense knowledge and familiarity with the subject and the library catalog. It’s possible we had a librarian who specialized in literature or, if not, outsourced the question to an outside librarian or expert. Have you anything in your anthologies whereby you could give authorship and “location” of old poem about the goat that used a shirt off the clothes line to flag a train? And he was old enough to vote etc. And tied him to the railroad track. The Harlem goat coughed up those shirts and flagged the train. Unfortunately, our librarians had not heard about this, even after scouring our poetry anthologies. Today it’s (usually!) easy to identify a poem or song from misremembered lines by typing them into Google, but for topics such as private company information, consumer behavior, and five-year industry forecasts, it’s still best to consult the experts. For your tough business questions, come in to check out our free specialized business databases, or connect one-on-one with a business research specialist through a Hill membership or premium research services. 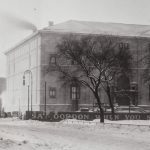 The St. Paul Public Library and the James J. Hill Reference Library is a significant building in St. Paul both architecturally and historically. Architecturally it is an excellent example of the Northern Italian Renaissance architecture which flourished in the United States from the 1850s to the early 1900s. 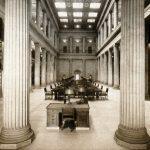 The James J. Hill Library, which retains its original design and furnishings, is an excellent example of a turn of the century library — a ‘classical temple of learning.’ The location of the libraries is also architecturally significant in St. Paul. Situated across from Old Federal Courts Building and separated from it by Rice Park, this area forms an important visual element in downtown St. Paul. A “classical temple of learning,” the Hill Center’s history comes alive during our public tours. 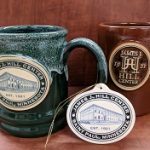 I often describe the Hill Center as a “time capsule” of history – almost everything in the building is original. Visitors will peek at long-forgotten graffiti where “Wally + Sally 1945” and “Billy Mitchell 1955” can be seen written in pencil in the book dumbwaiter shaft well off the beaten path. Almost all of our tables, chairs, lamps and fixtures are original to our 1921 opening and our formative years of the Great Depression and WWII. While not always an ergonomic choice by today’s standards, I believe researching while sitting on our historic furniture brings an added camaraderie and inspiration from the past; who sat in this chair before me? A historic site offers the opportunity for visitors to fully embrace “history where it happened” – a 360 experience that cannot be replicated. During National Historic Preservation Month this May, we remember both the small and large steps that are the cost of preservation. The large steps take the form of leadership from the community, both private and public parties, who step forward to champion the preservation of our invaluable historic sites. The small steps are easy and accessible: take care when handling historic texts or artifacts, volunteer your time and expertise to support the projects and spaces that you believe in, and finally, be an advocate for the preservation of historic places by visiting them! 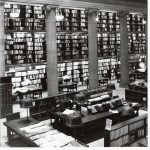 In 1915, the James J. Hill Reference Library’s first head librarian Joseph Pyle began the task of selecting and collecting the books that would one day grace the library’s shelves, working in consultation with James J. Hill. When Hill passed away in 1916, this job was wholly incomplete, and Pyle now faced this duty with little more than very preliminary lists and Hill’s vision: to be a specialized reference library. Not only that, but Pyle wasn’t even a librarian! He was a trusted friend and colleague of Hill’s, his speechwriter and first biographer. How did Pyle approach this immense task? With strategy, dedication, networking, and lots of hard work. He relied heavily on other libraries and the experts who worked there. Before he could buy books, Pyle had to buy (and read!) books about books: bibliographies. He scoured bibliographic works such as “Standard Books,” “The English Catalogue of Books for Great Britain and Ireland,” and “United States Catalogue and Cumulative Book Index,” many of which were updated and re-published regularly, and publishers’ catalogs. 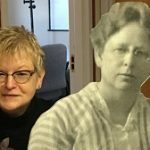 He traveled across the country, from Chicago to New York to Boston and beyond, to visit with reference librarians, scholars, and other experts, all of whom were happy to collaborate and help. 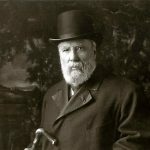 He looked closely at other libraries’ catalogues and bibliographies, including the St. Paul and Minneapolis Public Libraries, Library of Congress, the libraries at Harvard and Princeton universities, the Peabody Institute Library, the John W. Crerar Library, and the Newberry Library, among many, many more. He even went to very specialized libraries, such as those operated by The Societies of Civil Engineering, Mechanical Engineering and Electric Engineering, in New York City. He received a list of nearly 700 titles on architecture from Electus Litchfield, the building’s architect. To narrow down his lists, Pyle meticulously went through and made decisions on what to purchase and what to cut based on the contents of the book, budget, and what the St. Paul Library next door already had in their collection—minimizing duplication was important to him. We still collaborate today with the public, private, and specialized libraries in our community. By working with community partners, we’re able to recognize and fill in gaps in the entrepreneurial and business research community—whether through our database subscriptions or class offerings—and, on the flip side, know where and to whom to refer patrons who need a service we don’t offer. 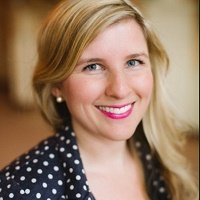 In celebration of National Library Week the James J. Hill Center has reached out to individuals who are involved with the transformation of libraries to celebrate their story and hear their perspective on the future. 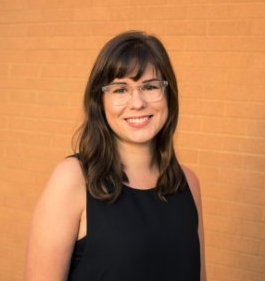 Dru Frykberg is Librarian at the Minnesota Department of Employment and Economic Development (DEED), is the state’s principal economic development agency. DEED programs promote business recruitment, expansion, and retention; international trade; workforce development; and community development. Tell me a little bit about you and how libraries are integrated into your life? As a librarian, libraries are obviously a big part of my professional life. But they’re also part of my personal life. During the last year, I’ve turned to libraries to get my toaster fixed at a Fix-It Clinic, attend a meditation class, learn about First Avenue’s history from local music writers, see my teenage crush actor-turned-travel-writer Andrew McCarthy read from his latest book, and of course, borrow all the fiction and nonfiction titles I want. Where did libraries lead you? 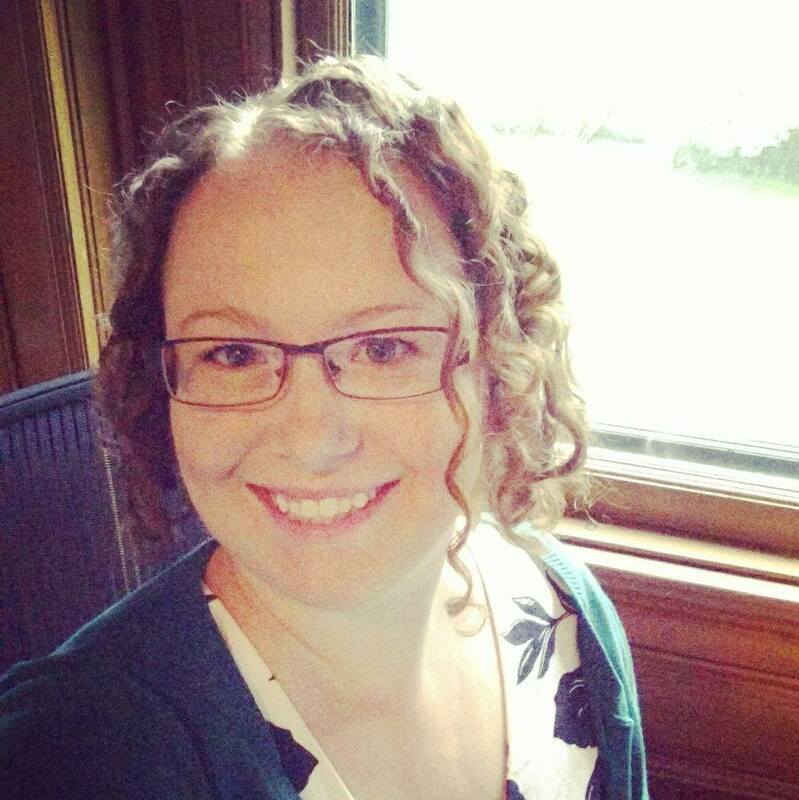 Libraries led me to my academic degrees and to my careers in journalism and librarianship. Tell me a about your library and its defining function? The Minnesota Department of Employment & Economic Development (DEED) Library is an internal, staff library where I anticipate and respond to the information needs of my 1,500 colleagues. That means I’m performing research and managing resources for economic developers, labor market analysts, vocational rehabilitation counselors, regional trade managers, employment counselors and more. They keep me busy and on my toes! Where do you see the future of libraries? I see libraries continuing to respond to the needs of their communities. I’m not sure anyone knows what that will be. But if I had to guess I see libraries promoting the skills and literacy needed to live in a democracy, preparing people for jobs, providing space and resources for entrepreneurs and gig economy workers, and playing a role in the sharing economy. Maybe they’ll be circulating drones and driverless vehicles along with everything else they make available. What is a way that communities can take action for libraries and be involved with their transformation? Don’t take libraries for granted. Use them. Promote them through word of mouth. Let them know how they can better serve you. And support them financially. 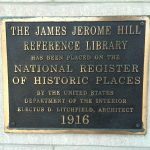 The James J. Hill Center, founded as the James J. Hill Reference Library is 1921, is a nonprofit in downtown St. Paul that provides access to business research, educational programming and a place to work. The Hill is open to the public 8AM – 4PM, Monday-Thursday. To keep updated visit www.jjhill.org. 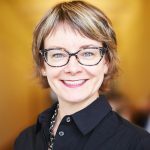 Ann Walker Smalley is the Director of Metronet, a multitype multi-county library system in the Twin Cities offering continuing education, network, and other services to school, public, academic, and special libraries. The Hill believes in her leadership and the steps she is taking to help transform libraries. I am an information junkie and one of the better-informed librarians around (thanks to editing MetroBriefs). I can’t pass a bulletin board or newsstand without being drawn to what’s on offer. The fascination with information creation, organization, & application is now an integral part of me and being a librarian makes it easier to understand it. Answering reference questions in public & special libraries opened my interest in the subcultures of information. I love knowing where the info is and connecting it to those who need it. Once a librarian, always a librarian. My library experience in special libraries and as a consultant to libraries allowed a 12-year “sabbatical” away from libraries after moving to Minnesota from Washington, DC. I was able to develop a consulting practice with non-profits on grant writing & curriculum development using my library training. I think an MLS/MLIS can give an imaginative person great skills to use in many professions. I have had so many wonderful experiences and met many interesting people because I am a librarian. Tell me about Gratia Countryman and how you have chosen to continue the legacy? I only knew a little bit about Gratia before my colleagues (Sara Ring & Olivia Moris) & I created our presentation “Radical All Along” for MLA. That research made me realize what a visionary Gratia was, especially in her outreach efforts to working people, families, immigrants, and others. She had a national influence on library service to children, too. Because we had learned too much to share in our presentation, we decided Gratia should use Twitter to share more. So now #gratiatweets at @MnLibHistory. The goal of the “Radical All Along” presentation was to point out that while many think that we are inventing new services to various populations, we are really carrying on the legacy of our predecessors who also recognized social issues & addressed them through library service. I recommend that library people read Gratia’s 1916 address to the MLA conference “Whence and Wither: An Appraisal”. It is as applicable now as it was then. I think libraries will always exist both physically and virtually in a community. However, to continue to be trusted institutions, we need to look at what we do, and understand the best ways to offer those services, and evolve our structures & funding to meet those needs as effectively as possible. I think it is tempting to be all things to all people, but focusing on being all information things to all people with a community connection may be more in keeping with our mission—using a broad definition of information. To be involved in transformation, one must be involved in the organization and the structures that support it. The most important thing people can do is to use their library. Then they will know its wonders, how important it is to all kinds of users, and be able to be ambassadors in the community if library service is threatened. Their advocacy will be authentic because it is based on experience and knowledge.